Scuba diving is an adventure sport and requires some degree of training before you can actually begin freediving. As a novice, your top priority should be achieving proper fitness, but that’s not all. Although Googling “learn to scuba dive for beginners” won’t actually make you fit for the task, you can at least gain some knowledge on things to do and avoid during your training. 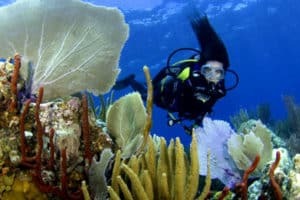 Top Places to try Scuba diving for beginners. It is very important to consider the diving options. As a professional diving instructor, I would suggest the beginners from indulging in deep sea diving and wreck diving. If you’re doing this just for the recreational purpose, take the easy way. Make sure to take your training from a well-recognized institution. Scuba diving without proper gears could be life-threatening. As a novice, the price of a brand new freediving kit could seem a little frightening to you. Moreover, at this moment, you don’t even know whether you are fit for live scuba diving. So, the safest bet for you would be to rent a scuba diving gear package from a reputed rental store. 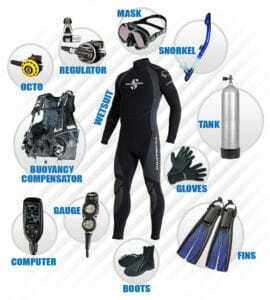 Do check the fitting of the wetsuit, snorkeling, and mask. The mask should be dry and easy to breathe with. Ask your trainer to examine the BCD and other life support systems on your behalf. 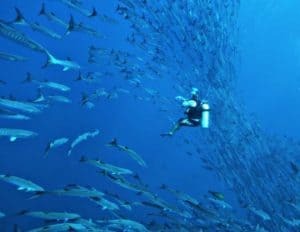 There are plenty of beautiful diving locations around the globe. Each has a beauty of its own. While the Great Barrier Reef is hailed for the sheer grandiosity its vast and spectacular coral reefs, the warm Caribbean ocean has a charm of its own. If you’re not sure about a suitable diving location abroad, give the local ones a try. Not only they are convenient to reach but will also save you thousands of dollars. Descending too quickly is a very common tendency of novice divers. I always recommend people to take it slow. It will prevent your sinuses from feeling a sharp pinch and adjust to the water pressure better. Release the pressure out of your mask by pinching and blowing your nose slightly within every three feet. Sink slowly also to let your lungs and blood vessels adjust to the increasing level of oxygen. One easy rule you can follow is ascending slower than the bubbles released from your snorkel. Diving with people you’re well acquainted with makes it all the more fun. Never ever dive alone. During your introductory course, you will probably get along with people who are just as curious and enthusiastic about water sports as you are. As the time goes on, you will develop a great rapport with them and will be encouraged to dive more often. What’s more, diving in a group also means a great discount on rented scuba diving gears. This is the era of social networking. If you can’t find perfect dive buddies in a conventional way, let the internet find them for you. Doesn’t that sound cool? Once you overcome your initial fear of normal sea diving, push your envelope bit by bit. Dive into a dead sea, go for spearfishing, and experience the mesmerizing world below the calm sea at night. 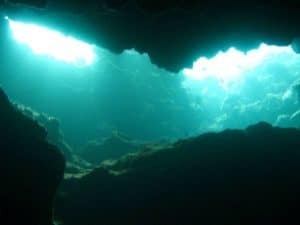 I am going to talk about the best diving locations for learners later on in this article. Free diving is all about using the right technique. Remember all the instructions your trainer gave you by heart. Don’t be overambitious after one or two successful attempts. Stick to the guidelines, and you’ll be fine. 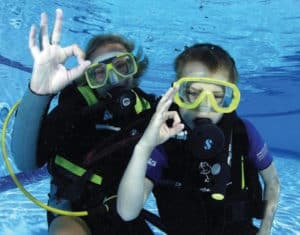 There must be a number of places offering introductory courses on scuba diving near you. Any acknowledged organization would follow a set of policies and regulations before and during the training sessions. Know about the kind of courses they offer, duration of each session, fees including the gear charges. Sounds weird? It shouldn’t. Holding your breath under water actually, does more harm than good. Your instructor will teach you how to control your breathing in order to equalize buoyancy while diving. Be relaxed, take slow breaths and exhale normally. One of the thumb rules of diving is to never be more than 10 feet apart from your co-divers. Constantly show each the “Okay” signal to make sure everything is fine. A romantic getaway to Bahamas is the best thing you can ever do for yourself. The awe-inspiring reef of Bahama island that expands over 760 miles is tailor-made for new divers. The New Providence, especially, provides easy access to divers. If you dare to try shark diving, you’re going to thank me later for suggesting this place. There are several operators who will assist you with the procedures, so you won’t have to worry about that part much. 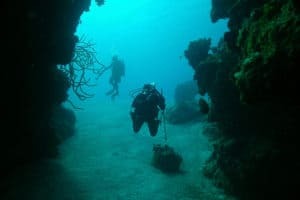 Curaçao is full of exquisite diving spots. Near the cruise ship terminal, you will find many car rental shops to drop you at your desired location at a very pocket-friendly price. Playa Kalki and Cas Abao are the most frequented dive sites of Curaçao. The best part is you can rent tanks from the nearby dive resorts even if you’re not a guest over there. You can explore the famous double reef system of Porto Marie, watch a wide variety of fishes, and seahorses by availing their boat diving services. I’ve never been to Thailand myself but listening to the enviable diving experience of my colleagues has made me want to go there time and again. From what I have heard, a new diving center is mushrooming at Koh Tao almost every single month. Therefore, the diving costs are significantly low over there, so, if you’re on a budget, Thailand is the place to go to. Apart from the colorful and breathtaking coral reefs spread over hundreds of miles, you can also get a glimpse of exotic sea animals like octopus and Southern Stingray. A scuba diving trip to Hawaii is a common dream shared by every aspiring free diver. And why not? The gleaming beaches and the pristine, blue ocean make for a perfect diving environment for professionals and beginners alike. If you want to have the lifetime experience of listening to the sound of blue whales, plan a trip during December to May. The most sought after diving spot of Hawaii has to be the Forbidden Island of Niihau for its dream-like wall diving in proximity to spinner dolphins. If you think you’re ready to indulge in the adrenaline-driven sport of wreck diving, British Virgin Islands deserves the top spot on your go-to list. RMS Rhon, Chikuzen and Inganesse are the most popular diving places here for the tourists and locals. At Inganesse, the wreck’s keel is situated 95 feet below the sea surface and is in a fully intact condition. For an American diver, the travel time and hassle to the British Virgin Islands will be considerably low. There is also a string of 7 islands spanned across the Sir Frances Drake Channel which are harder to get access too, but it is definitely worth the effort.